The Original beard oil from Belfast Beard Co contains an essential oil that I have grown to love since I have been testing beard care products. That oil is Patchouli, it is an oil that I was not very keen on previously and it reminds me of the hippies that still floated around when I was a child. Original is a blend of Cedarwood, Patchouli & Lavender and the Patchouli and Lavender go together well. The scent is as you can imagine floral, but it also slightly sweet and very slightly spicy when you really warm some in your hand and spend some time inhaling these notes offered by the essential oils. It is also as you would imagine slightly (there’s that word again) woodsy! The base for this oil as with all of the oils except for ‘Logy’ is a blend of Grapeseed oil, Sweet Almond oil & Hemp oil and it is a nice oil, but just nice where as the Logy with the addition of the Jojoba is on the next level for me. 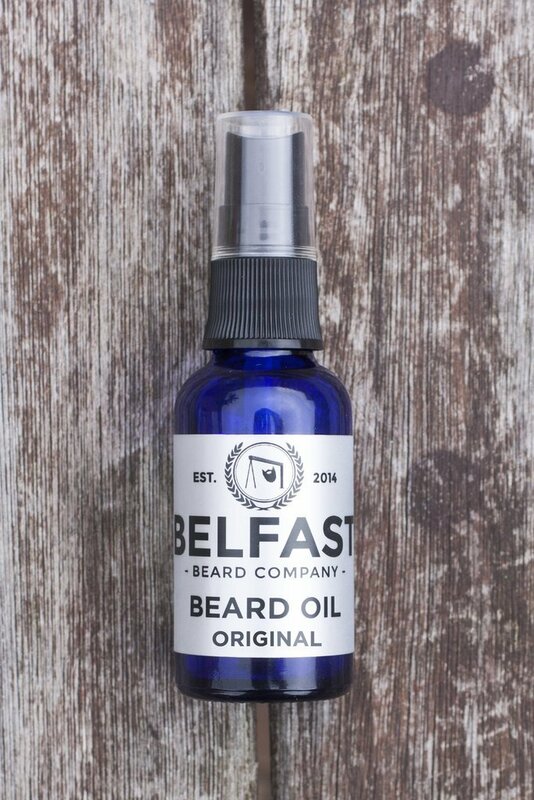 The Original beard oil from Belfast Beard Co comes in a 30ml bottle with a pump dispenser and costs £14.50 from their website.